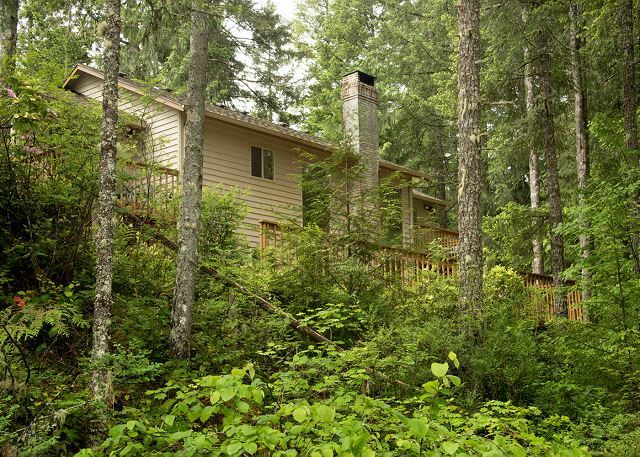 Sandy River Retreat is where you will find peace and quiet for your Mt Hood vacation with expansive river views surrounded by a tall forest of cedar and Doug Fir trees. Gather around the great room in front of the river rock fireplace flanked by floor to ceiling river-viewing windows bringing in lots of natural sunlight. 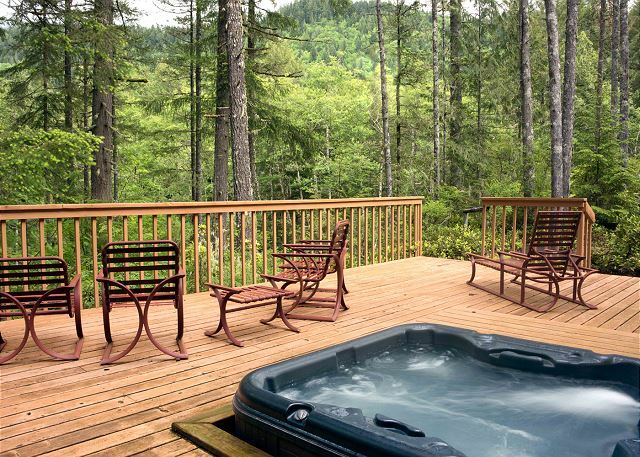 Spend your afternoons and evenings outside at the massive riverside deck grilling dinner or soaking in the hot tub. The vaulted great room is ideal for spending time with friends and family while preparing meals in the fully-equipped kitchen, dining at the spacious table or enjoying favorite movies and games in the great room. The spacious master suite located off the main great room on the first level welcomes you with a king bed, en suite bathroom and private entrance to the riverside deck. Three more bedrooms upstairs include three queen bedrooms. The middle room in the central area includes a TV with Blue Ray DVD player. 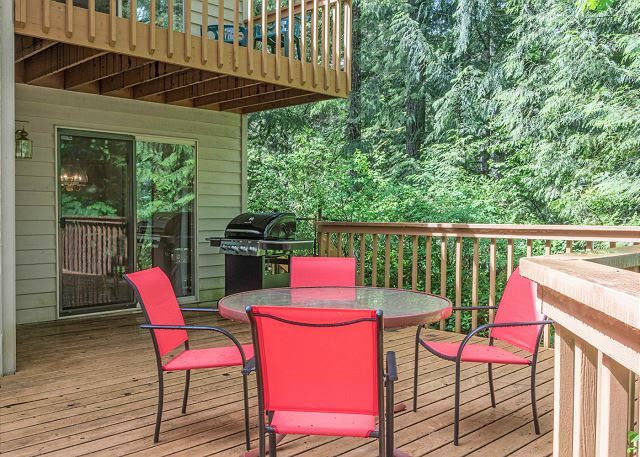 The Sandy River Retreat is perfect for fun-filled and relaxing vacations to Mt Hood with the end-of-the road riverfront setting where you will only hear the sounds of the rushing river and birds singing. Yet you will be close enough to everything there is to do at Mt Hood including the 27-hole golf course, hiking trails, mountain bike parks, lakes and much more. You are now being connected directly Mt Hood Vacation Rentals who is responsible for this property.